According to baccarat history, this card game of chance appeared and first developed in European counties, such as Italy, France and England; but today baccarat is an extremely popular and loved American casino game and all its best players can be found in this country particularly. So, how and when did it happen that baccarat came to America and captured the attention of millions of gamblers? When baccarat came to America thanks to French immigrants there were only two its variations: Chemin de Fer and Baccarat en Banque (European Baccarat). These two variations were introduced to audience in 1911 at Palm Beach resort (Satagora). Everyone stayed indifferent to this game of chance and did not like it at all; moreover, another card game was very popular then (blackjack), so, it did not baccarat any chances to prove its uniqueness. Americans did not accept European variations of baccarat, and it continued till the time American variation of this game had been created. It is believed that Punto Banco (the North-American baccarat) had been created actually in England and spread to South America first. It was Cuba where Tommy Renzoni (the famous casino player and gambling author) had found American baccarat and brought it to the USA in 1950s. In one of his books (Renzoni on Baccarat) Tommy told that he brought Punto Banco (such was the name of this game in Cuba) to Las Vegas where introduced it to the publics. 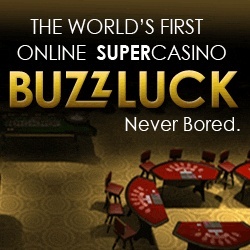 This event had started the modern history of baccarat game. Americans liked the new game very much and it became more and more popular since the late 1950s; casinos tried to support the image of baccarat being the noble and aristocratic game, so it was played in a separate casino room behind the curtains and a special atmosphere was created there for players to feel themselves being real gentlemen: baccarat etiquette had been created; dress code for players was presented; cigars and wine were obligatory attributes of the game. 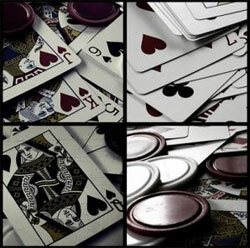 Thanks to its popularity, American baccarat had found many admirers who wanted to develop the game and improve it. Some new variations of baccarat were born in such a way: Mini Baccarat and Super Pan Nine for example. The object of the game stayed the same but the small differences in rules were present to make baccarat being more interesting and variegated. Today American baccarat does not want to retire: it continues its development thanks to the Internet and skillful baccarat experts, so, it can be easily said that the history of this card game has not been finished yet.